in hopes that all the Officials would soon be there. Day 0 was well and truly underway when the lobby of the A&O hostel Graz slowly filled up with the enthusiastic, lively and fabulous people we call Officials; so after a hearty lunch Teambuilding was to begin. It started off fairly basic, with name games and the Officials talking about themselves to the unofficial session mascot: Gosik the mouse. Then things got interesting as everyone put their music skills to work when challenged to make “Let it Go” a little bit more relevant to EYP. Later, the training process took place for a few hours and the day came to a close with a lovely dinner consisting mainly of, obviously, schnitzel. 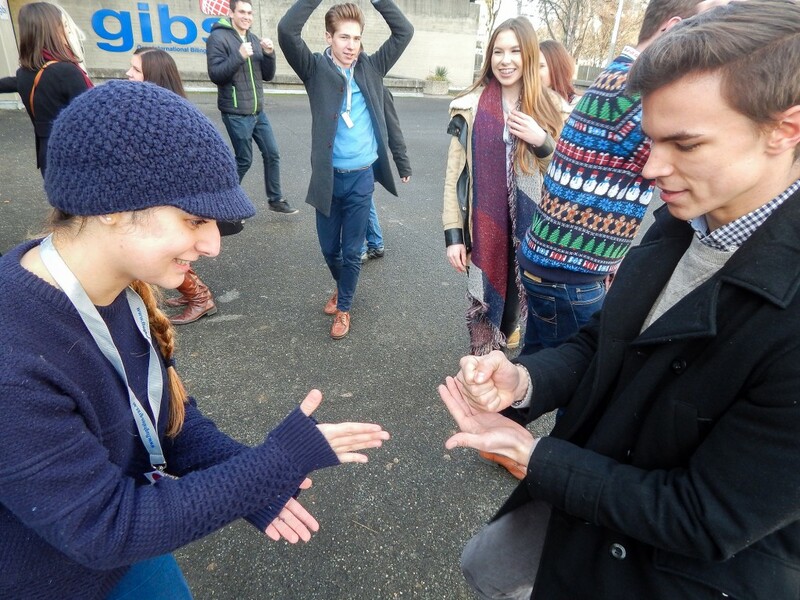 On the cold and foggy morning of the 19th the Delegates were welcomed to beautiful Graz; and so began the process of turning strangers into friends through Teambuilding at Graz International Bilingual School (GIBS). Classic games such as “evolution” (with a Christmas twist of course) and “repeat after me” songs were played by all and it was then time to move to committee Teambuilding. Hours passed, smiles were shared and laughing was inevitable until the time had come to move to the town hall for the opening ceremony. The picturesque building inspired a sense of amazement and Christmas cheer all marvelled at the Christmas markets right outside and felt honoured to sit in the same places as leaders before them did. After moving speeches and even a video montage (courtesy of the “FotoGraz” media team) everyone moved into a separate room for dinner then were on the way back to the hostel for the Delegate party (organised by the media team), which was comprised mainly of “Just Dance” sessions. Day 2 was started and one could sense the tone of excitement and focus as the Delegates moved back to GIBS to begin their resolution writing but not before a few short energisers of course. 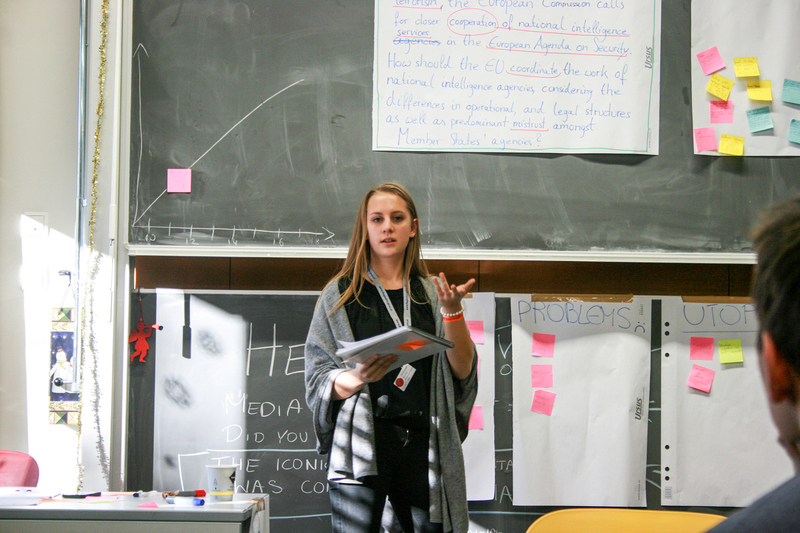 As the day progressed, the Delegates went from simply sharing their ideas and research on their topics to constructing detailed resolutions outlining how Europe should tackle the problems given. After a long day of thinking and writing, the Officials and Delegates treated themselves to a night of food from across Europe (EuroVillage) at the Greenbox. The evening ended with an impromptu karaoke session; so with bellies full and smiles on their faces, everyone went to bed and prepared for the bittersweet Day 3. 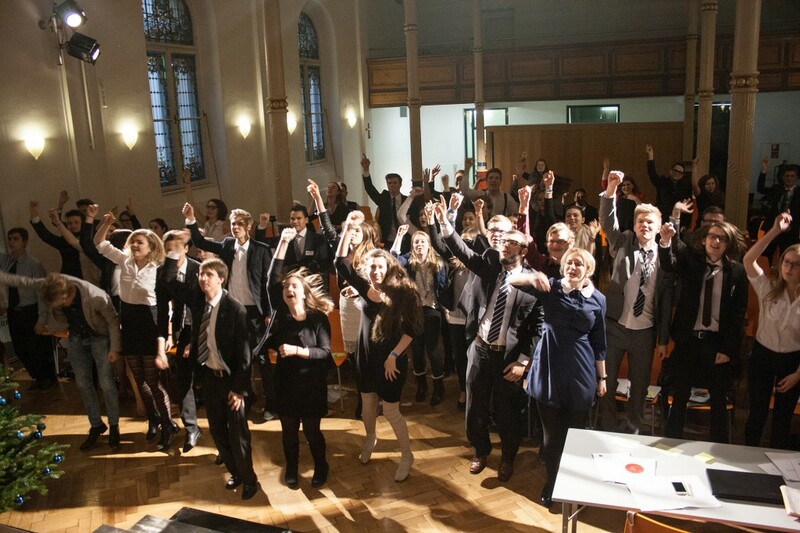 With everyone dressed in their EYP finest, the Delegates and Officials moved to the Augustinum for the much awaited General Assembly; with heated debates, powerful speeches and silly dance moves (courtesy of “Just Dance”) this was surely the highlight of the session for many as it was the first time many Delegates got a taste of the EYP experience and their excitement was evident. As the afternoon drew in, the tone became nostalgic as everyone remembered the brief yet highly enjoyable session through the Closing Ceremony and began to say their goodbyes. 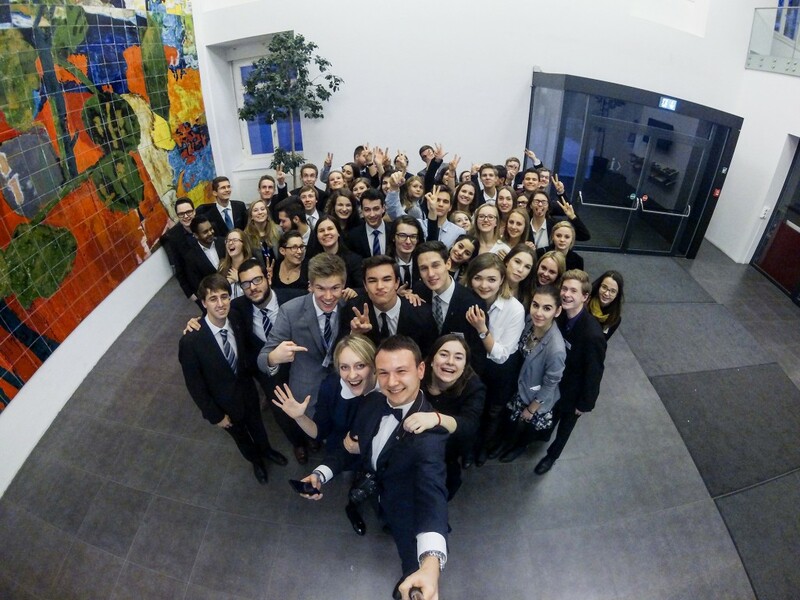 All in all with over 50 participants from nine different countries, the session proved to be a massive success, resulting in fruitful debates, lasting friendships and of course, precious memories.